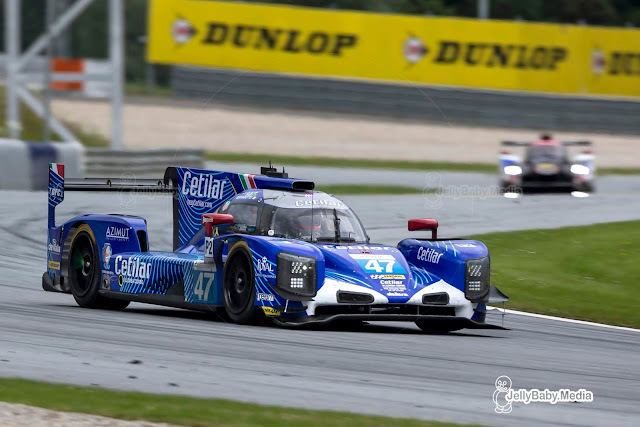 Cetilar Racing announced their plans to enter the 2019/2020 World Endurance championship in the LMP2 class. An new name and an exciting challenge for the team which was known as Cetilar Villorba Corse. After competing in the European Le Mans Series for 4 years, with an LMP3 in 2015 and 2016 and the Dallara P217 in the LMP2 class in the past 2 years, the Italian team now steps up to the FIA World Endurance championship in 2019/2020. Racing in the WEC is the next “natural” step for Cetilar Racing, which retains its “Italian Spirit of Le Mans”. A full Italian driving crew formed by Roberto Lacorte, Giorgio Sernagiotto and Andrea Belicchi. Belicchi returns to the team in 2019 after recovering from back problems which kept him from racing in the second part of the 2018 season. An all-Italian team with 3 Italian drivers, supported by an Italian manufacturer (Dallara) and a highy experienced team structure who haven been by the team for several years now. Villorba Corse will start its new adventure at the 4 Hours of Silverstone during the first weekend of September at the first round of the 2019/2020 FIA World Endurance Championship. Pre season tests are scheduled at Le Castellet, Barcelona and Monza. The team will apply for a “wild card entry” in the European Le Mans Series at Monza in May. An application has also been entered for the 24 Hours of Le Mans in June. The entry of Cetilar Racing the second new team in LMP2 for the FIA WEC, after United Autosports confirmed they will race with a Ligier JSP2 next season. "We are ready for a new challenge and adventure” said Roberto Lacorte, driver of Cetilar Racing. It's an 18 month adventure both intense and very challenging, divided into two steps: the first will end at the 24 Hours of Le Mans this year – if we get an invite from the ACO that is. Before that we will race in the ELMS 4 Hours of Monza. A race we can't miss out because it's the best opportunity to get in touch with our numerous fans. From September we'll head into the WEC, an exceptional challenge for our team. We're very excited for this new challenge and the desire to do well is high. We are also very happy to be able to race again with Andrea Belicchi, who has perfectly recovered from last year's back injury. His presence and his experience are really important for us, both from a technical and human point of view ".